Who should this be autographed to? Retro Roadmap Roadbooks are not just your standard travel guides! The one that started it all, with original cover art! 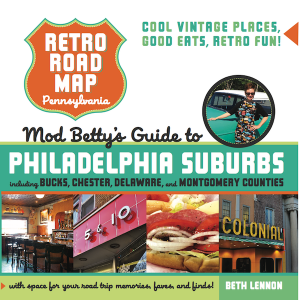 The Delaware Retro Roadbook is the first in the series of travel guides/journals featuring Mod Betty’s favorite “Cool Vintage Places, Good Eats and Retro Fun” for YOU or someone you love! Please note: The Delaware Retro Roadbook is a first-printing only and in limited quantities. It will NOT be reprinted – when its gone, its gone – so get yours now if you’re the type who likes to “collect ’em all! 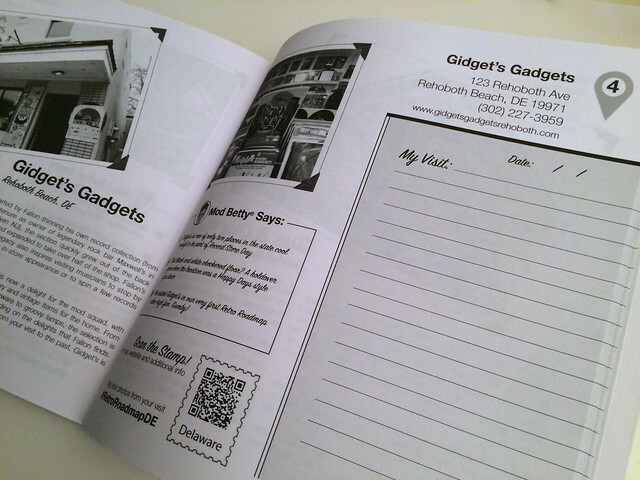 Mod Betty has included some features she’s always wanted in a printed travel book but never could find…until now! 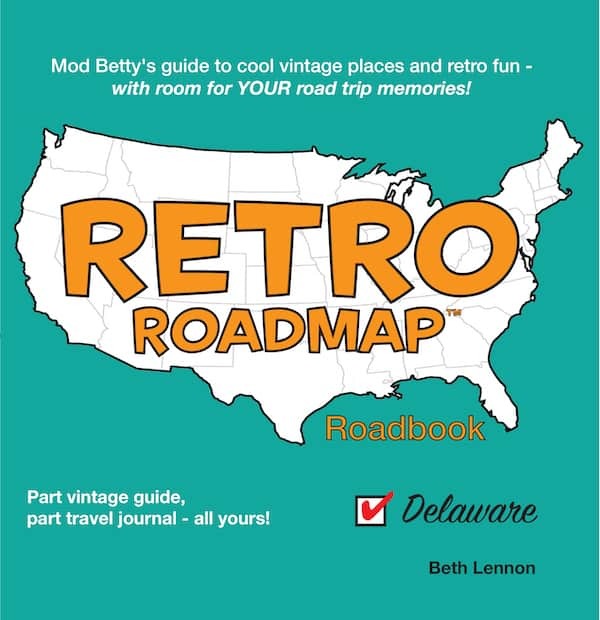 These details make your Retro Roadbooks easy to use AND help you transform the book into your one-of-a-kind personalized travel journal – a keepsake filled with your memories of the fun you had on your Retro Roadmap adventures! 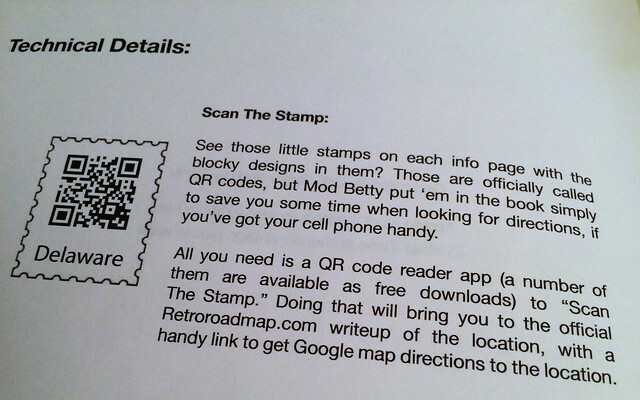 Get your Retro Roadbooks today and start your own Retro Roadmap adventure! 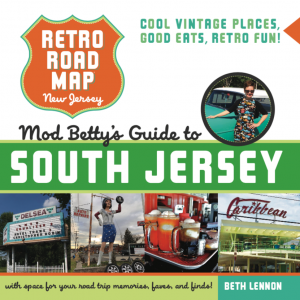 For lovers of road nostalgia, diners, quirky and historic attractions, this book is for you. This edition concentrates on the state of Delaware, and presents a well organized collection of places to visit on the road. Each place or attraction is well described with interior and exterior photos, and provides an area for adding your own notes. QR codes for scanning are provided for additional on line information. This is the road trippers’ version of an AAA guidebook for interesting places to stop and visit. Don’t leave home without it. I love Delaware and lived there for 26 years and still found tons of new special places in this amazing book! 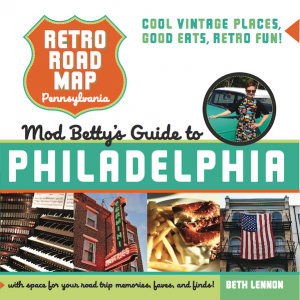 It so fun to plan adventures, day trips, and lunch spots with Mod Betty’s recommendations. She really knows her stuff! I love Beth Lennon’s books about the nice retro and independent places that are still around to visit. They are fun to read and great for planning a road trip. 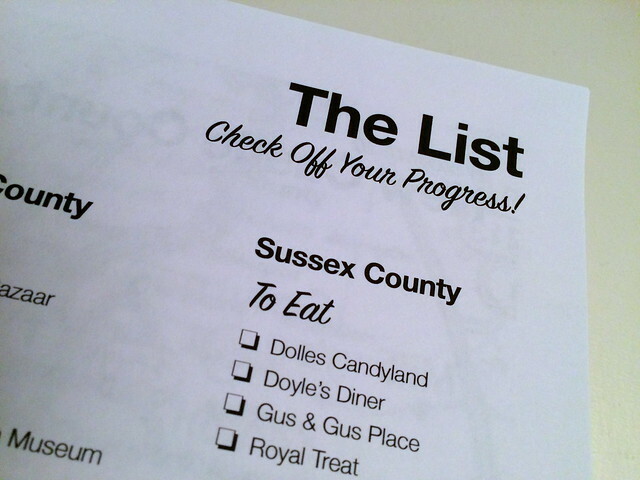 During my recent trip to Ocean City MD, I took along the Delaware book and visited six places from the book. What a great trip it turned out to be. I recommend these books highly. BOOK: South Jersey – SPECIAL 4-COLOR EDITION – LIMITED QUANTITIES!  Be the first to get Retro Roadmap news, events and special offers! No spam, just fun, and you can unsubscribe at any time. Copyright 2019 Retro Roadmap. Developed by nickpc. Thank you for becoming a Retro Roadmapper!